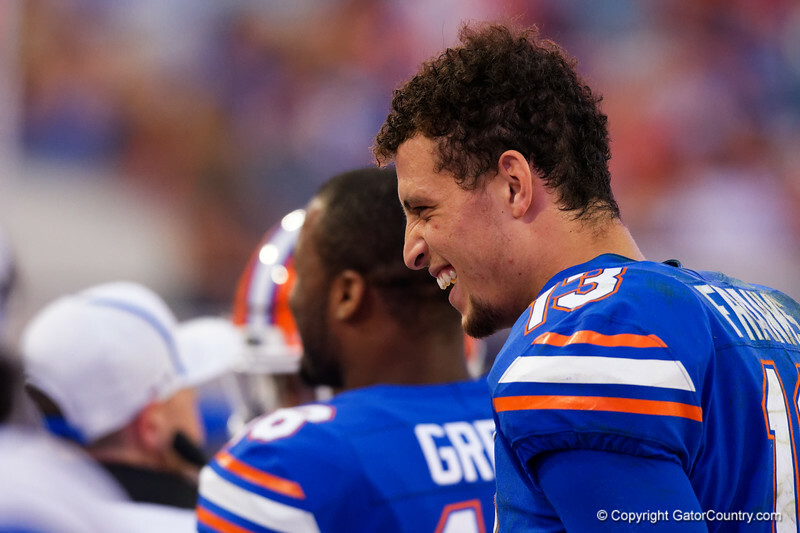 University of Florida Gators quarterback Feleipe Franks on the sideline after geting pulled out of the game during the second half as the Gators lose to 42-7 to the Georgia Bulldogs at EverBank Field in Jacksonville, Florida. October 28th, 2017. Gator Country photo by David Bowie.